Many games are made of blocks, games we’ve all played like Super Mario Bros. and Tetris. These games have so much in common that we’ve even managed to create another game in which you can play SMB and Tetris at the very same time. According to the feedbacks players sent us, the experience was pretty fun, but something was missing. A lot of other games share the same “block DNA” and we, as sorcerer’s apprentices, can’t help thinking about more fusion of game concepts. And we did it again (oups! ), but in our own way, with our own series. 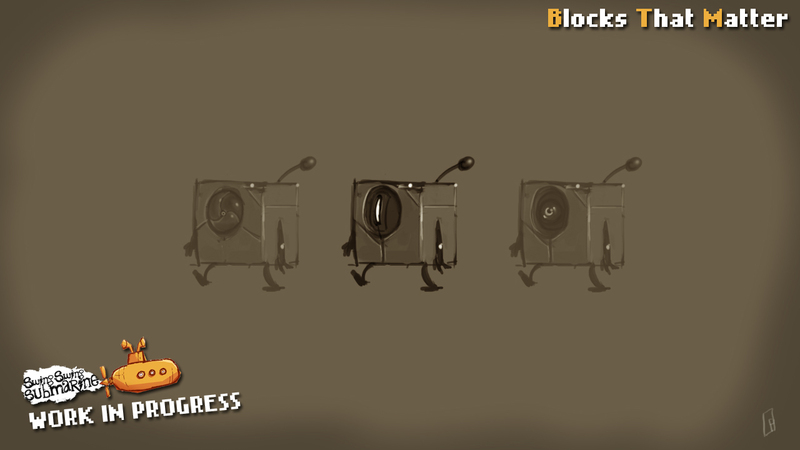 Let me present you our new impossible mash-up : Blocks That Matter ! Or as people who has already playtested the game calls it: BTM. 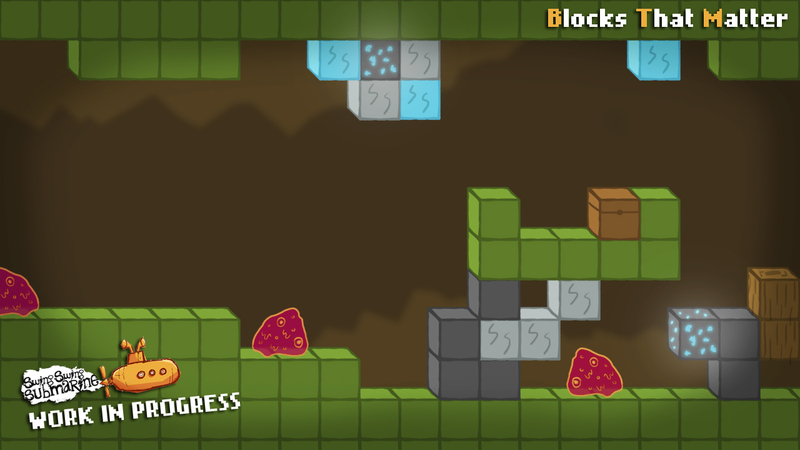 Where B stands for Boulder Dash, T for Tetris and M for Minecraft. Three games, retro and modern, made of blocks that matter. Knowing that, maybe you already have a good idea of what you’ll be able to do in this game. Or maybe not, cause even if we love game references we are honest people and we will never copy/paste any game. 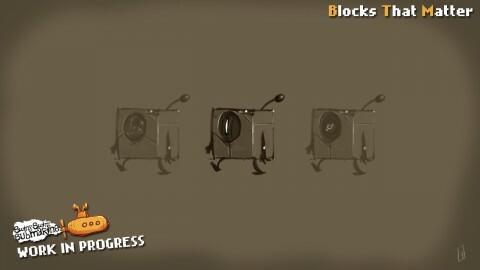 Our intention is to create a unique game experience mixing game elements and mechanics, our own game made of blocks. Blocks That Matter is in development since a month and will be released in less than two months (end of March / begining of April) on Xbox Live Indie Games channel and later on PC (Mac and Linux versions in study). This will be our very first “commercial” game and even if we didn’t already set its price (cause we’ve got other important things to do first like…finishing the game), you can expect it to be acessible for less than 5 dollars. So, don’t worry, you can buy all the AAA games that will be published in March (and there are plenty of them). Or you can read books cause books are great too. Through the next weeks, we will give you more informations about gameplay, graphics, sounds, storyline and the tools we use as we always did with Seasons after Fall. > WHO IS MAKING THIS GAME? Everybody thinks Guillaume has magical powers, but I know his secret: he’s programmer! Without him, you can erase the video part of our videogames. Like every game designer, William has a great skill to convince people what he’s doing is work. He also tries to be useful sometimes and create ingame assets and animation (and of course referring to himself in the third person!). You’ve already heard Yann’s work if you have ears and that you’ve played Knytt Stories and Saira. This talented guy, also know as Morusque in the chiptune area, is our music composer and sound designer. When he’s not making arts for his student project at ENJMIN, a french videogame school, Géraud has enough time to sleep 6 hours. Well, 4 hours since he accepted to create illustrations for Blocks That Matter. Can’t wait to kick mutant pizzas asses ! Hmm…I can’t really draw any conclusions from what I’m hearing so far. I can’t really find out how the gameplay is going to go. It seems really exciting ! These blocks and Minecraft’s ones really look alike, it is fun. A linux version would be great 🙂 ! Wow, very existing ! I love Boulder Dash (played *days* of it on Amstrad CPC in the 90′), Tetris and Minecraft, so it’ll be surely an instant buy for me! Please consider a multiple licences buy for PC, a la Humble Indie Bundle. I’m running Windows and OS X machines. Are you sure you need that much time to finish the job ?